Each year during fall and spring migrations, up to 4 billion birds fill the skies over the United States, all needing food to complete their journey. 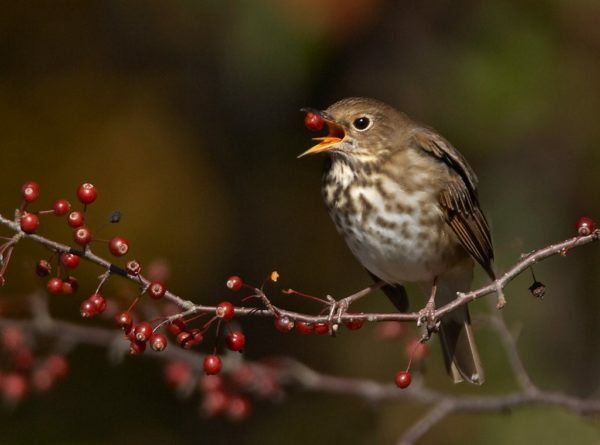 Join Jessica Shahan, naturalist at Newlin Grist Mill, to learn how to make your garden an all-season habitat for avian visitors large and small. Jessica discusses species diversity, seasonality, garden design elements, and the importance of your garden in a regional context. A tour of Mt. Cuba Center's naturalistic gardens includes examples of native plants that attract and support birds. Rain date for this class is Tuesday, June 4, 2019. This class qualifies for the following professional credits: 2 APLD, 1 CNP credit with DNLA and 2 NOFA AOLCP. Two professional development hours (PDH) have been approved for this class through LA CES. This class meets LA CES standards for HSW subject matter.